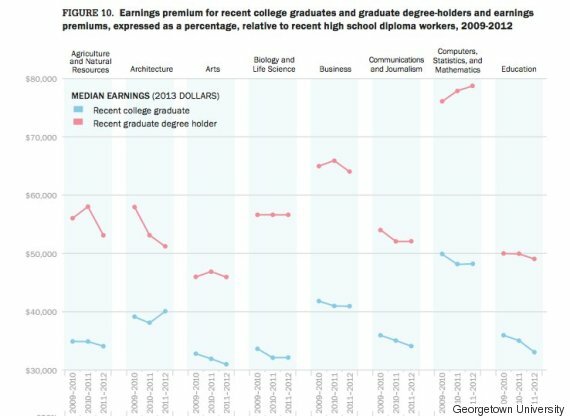 We're back with your daily dose of depressing journalism news: unemployment rates are dropping for nearly all college majors, with the notable exception of journalism students. 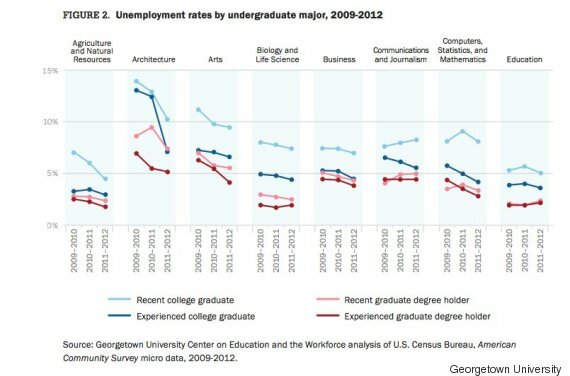 A new study from Georgetown University’s Center on Education and the Workforce looked at the unemployment rate for recent college graduates and recent graduate degree holders across all areas of study including architecture, social science, education and law. 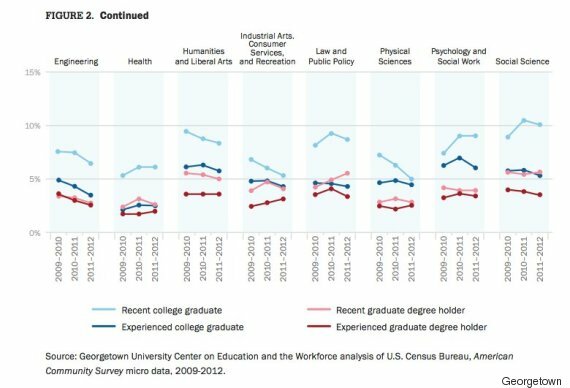 The results show that while the job market is indeed improving for most recent college graduates, communications and journalism majors was the only group to post increasingly higher unemployment rates. And even if journalism majors do find a job in the field, things can still look pretty grim. The American Journalism Review did a study in May 2013 on U.S. salaries and found that journalists actually make less than the average wage in the United States -- about $2,080 less. Students appear to be catching on. 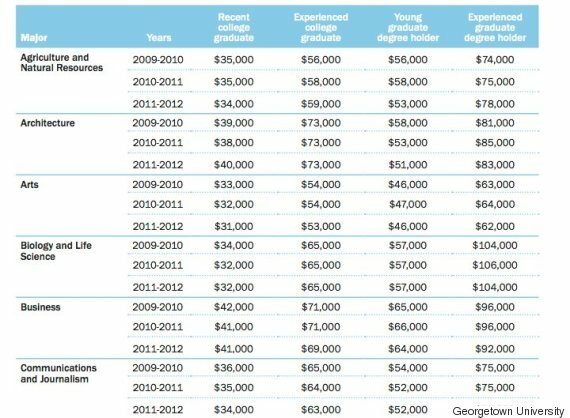 The University of Georgia reported in August that the total enrollment in journalism schools has fallen over the last few years, as well as the number of active journalism programs.